2017 Monterey 244FSX This is the boat you've been waiting for. 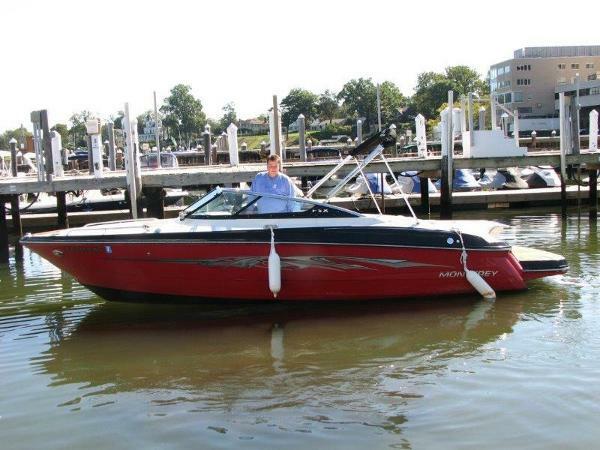 Become one of the elite captains of the 244FS Sport Boat and immerse yourself in features such as backlit Faria gauges with stainless steel bezels in the helm, spacious seating, ample storage and a large sun deck, for years of enjoyment. Our exclusive Air Assist Chine adds optimal performance and handling while the optional, factory-installed wakeboard tower makes it easy to catch big air. 2013 Monterey 244FSX, 2013 Monterey 244FSX with 350 MAG 300hp with only 110 hours!Bravo III Outdrive Twin Axle Galvanized TrailerCockpit and Bow Covers, Fusion Stereo, Sea Deck on the swim platformGarmin GPS, Enclosed Head with Porta Potty, Transoom Stereo Remote, Battery ChargerFSX PackageSuper clean boat!!! 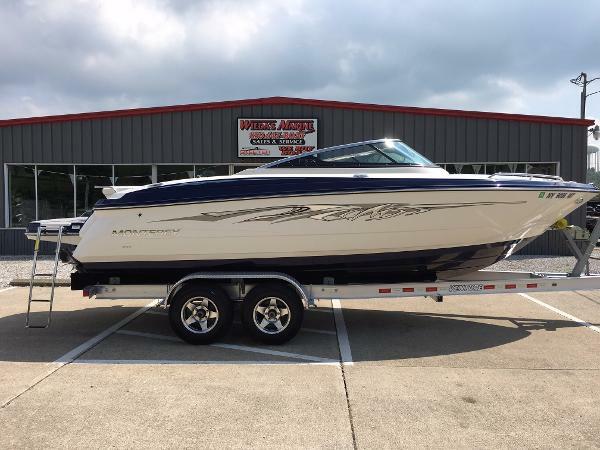 2016 Monterey 244FSX The 244FSX Limited Edition Package exudes excitement on the water like you've never experienced before. Featuring all the amenities of the 244FS, the FSX takes its style and performance up a notch. 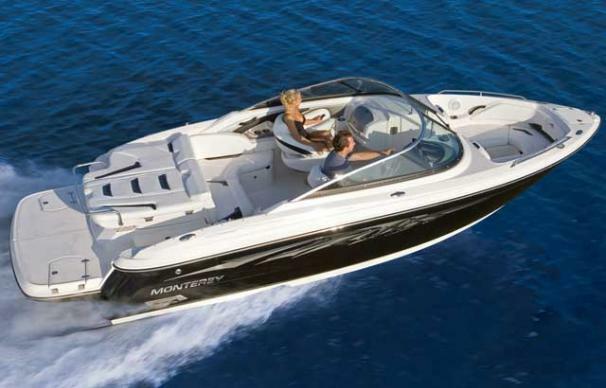 The FSX packs up to an optional 320 hp engine, making it ideal for high-performance excitement. The spacious bow area provides additional storage, the roomy sun island fits two comfortably and the cockpit seats swivel, making entertaining easy. 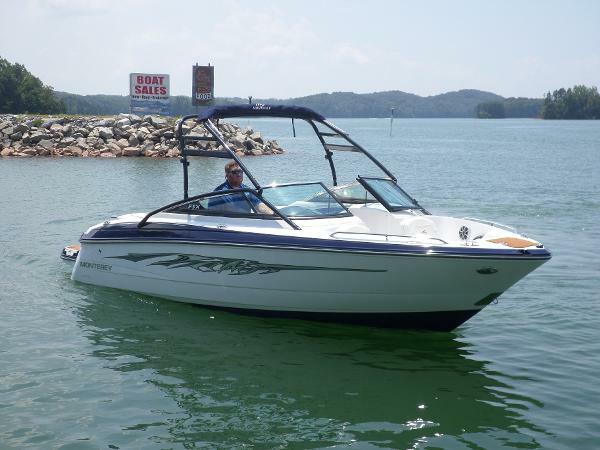 The 244FSX also features a premium sound system, urethane-domed graphics package, stainless-topped windshield, pull up cleats and forward bow ladder. 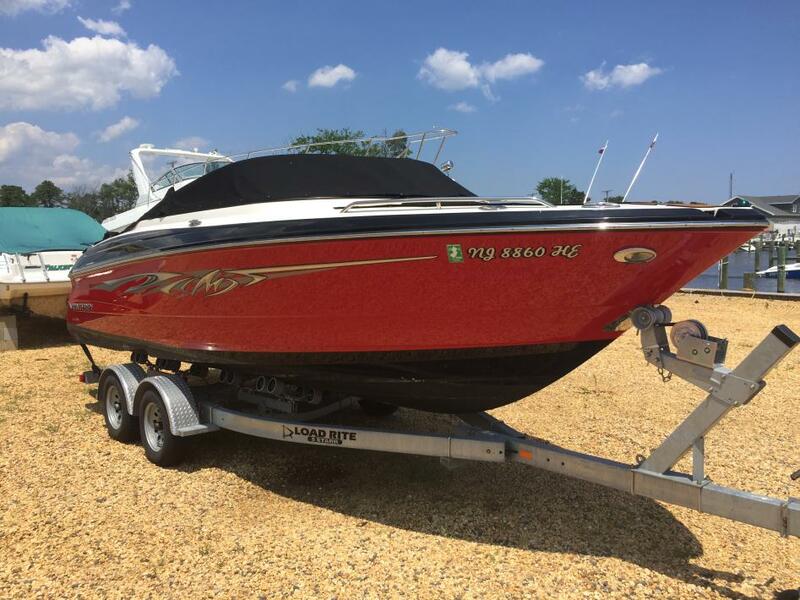 2015 Monterey 244FSX SPECIAL PURCHASE! 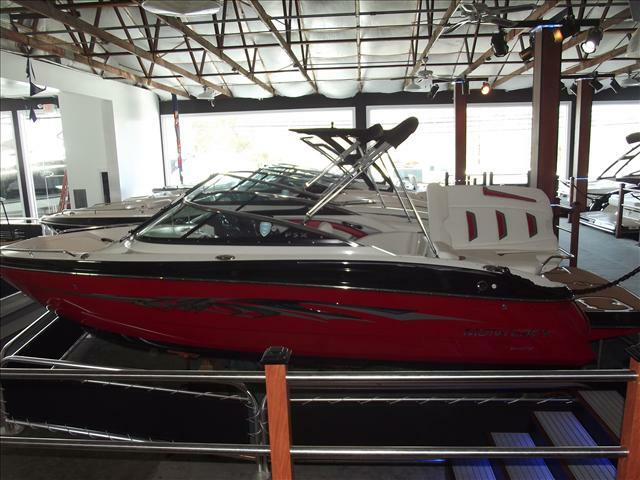 2015 Monterey 244FSX With 300 V8 Volvo Engine, Sapphire Hull Bottom, Woven Snap Out Floor Covering, Sea Dek Swim Platform Inlay, FSX Package, Under Water LED's, Wake Board Tower, Bow Filler Cushions, Battery Charger With Deck Plug, Pump Out Toilet, Mooring Cover. Call For More Detail.